Beyoncé’s Netflix documentary, Homecoming, has arrived with a surprise: A new Beyoncé album. The star, who perfected the art of stealth releases with a self-titled album in 2013, announced the new record just hours before Homecoming premiered. Both the film and the album capture her 2018 Coachella set – which celebrated black power and liberation. They include live versions of Crazy In Love and Drunk In Love, as well as her reunion with Destiny’s Child. Fans also get one new studio recording – a cover of Maze’s 1981 hit Before I Let Go, which plays over the closing credits of the film. 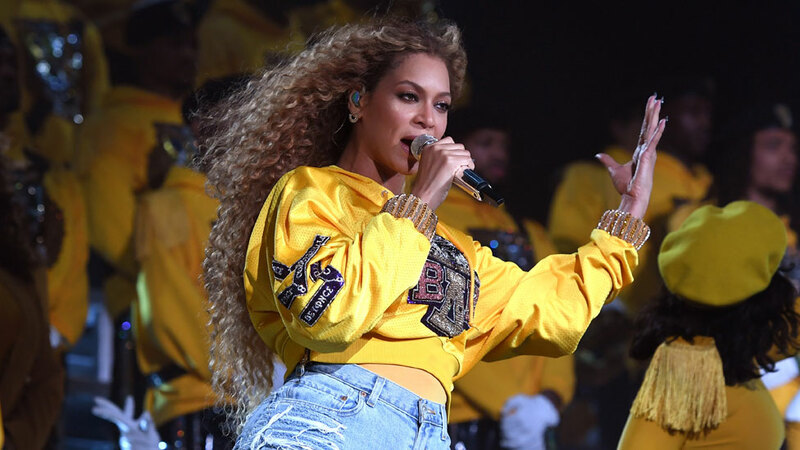 Beyoncé’s Coachella performance – which took place over two weekends last April – marked the first time a black woman had headlined the festival. The star pulled out all the stops, employing dozens of dancers and an elaborate marching band, acknowledging the importance of historically black colleges and universities (HBCUs) – institutions established in the US before the 1964 Civil Rights Act to serve the black community that was shut out by predominantly white establishments. Lavished with praise at the time, the release of the Netflix documentary has seen a second wave of acclaim. “For some of us who were actually there at Coachella, there might’ve been a slight fear that we were overselling the show,” said Variety Magazine’s Chris Willman. BBC entertainment correspondent Colin Paterson noted that there was “very little documentary content, but as a concert film it’s up there with Talking Heads’ Stop Making Sense and Prince’s Sign ‘O’ The Times”. The New York Times described the film – which is almost 150 minutes long – as consisting of footage “viewers have already seen (and, perhaps, seen again and again) this time through a greater variety of angles and Instagram-like filters. “The ‘intimate and ‘candid’ moments touted by Netflix are brief in comparison,” they add, “appearing between long, uninterrupted musical segments from the show. “While the behind-the-scenes footage is only a fraction of the total film, Beyoncé is refreshingly candid about the hard work that it took to put the shows together,” wrote Brittany Spanos in Rolling Stone. Fans were similarly enthusiastic, with A Wrinkle In Time director Ava DuVernay writing on Twitter: “Gah! This has been my favourite thing for a whole year now.